The marks, parts and original references of the manufacturer that appear on this website, have the sole purpose of facilitating the identification of the parts. 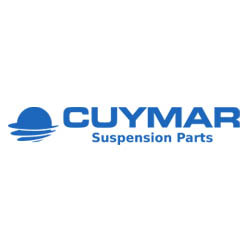 Why choose Cuymar Suspension Parts? To arrive at the right time, whenever you need us. We are at your disposal at all times. We adapt to your budget and needs.